If you purchased a DVR Card or Server, and you need assistance on how to setup remote viewing: Getting started PDF instructions for port forwarding. 1) Use Internet Explorer for the quickest way to see up to 16 cameras simultaneously from any PC with a broadband Internet connection. http://72.54.243.18:81 user = admin, password = (blank) Please select the 9-screen split, then click Login. 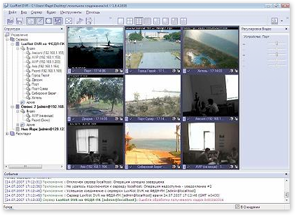 You can view up to 16 cameras simultaneously using IE. 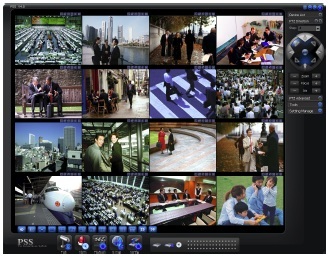 2) CMS Client software: view up to 64 channels simultaneously across multiple NDVRs. One-time setup, then enjoy one-click access to all your cameras and servers. To view the CMS Client software demo, please contact us at 1-310-370-9500 x1 for Sales, or email info@edigitaldeals.net. The software is part of our latest software bundle available on the Downloads page. 3) Use NVR Client for Mac: Mac OS 10.6 on multi-core Intel-based machines. NDVR Client (OS 2.1 and up) from Google Play--use port 5100. Please enable your activeX controls in Internet Explorer: (Tools --> Internet Options --> Security --> Custom Level). For every mention of "activeX controls", set your selection to "prompt" or "enable." There should be approximately 7 selections where this change needs to be made. If using IE 11 or higher, please add IP address to Compatibility View Settings (Tools --> Compatibility View Settings, Add, Close). Safari can be used on Mac-based systems. Other than Safari and IE, there are no other browsers supported at this time except for Google Chrome with the IE-Tab extension. Analog 960H Demo: http://71.156.16.224 user = admin, password = 123456, mobile port = 5000. HD-TVI 1080P Demo:http://demodvrs.autoddns.com:6000, user = demo, password = 123456. HD-SDI 1080P Demo: http://demodvrs.autoddns.com:6008, user = demo, password = 123456.
iOS: download and install the free BroView app from the App Store. Available for iPad only is BroCMS. You may also use SuperLivePlus. Android: download and install the BroView app Google Play. Or SuperLivePlus. BlackBerry: download and install SuperCam from the DVR's IP address. Download all LuxRiot Products including VMS, drivers, and LPR. Watch LuxRiot video tutorials on YouTube. 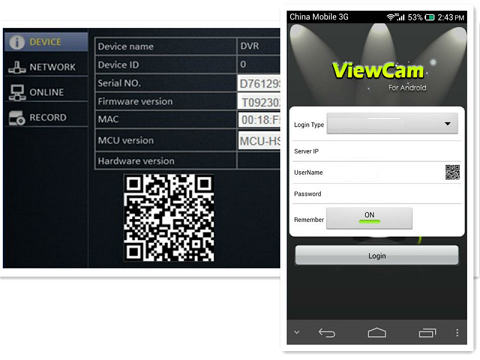 Android: IP Cam Viewer Lite (free), or IP Cam Viewer Pro, $3.99 from Google Play. 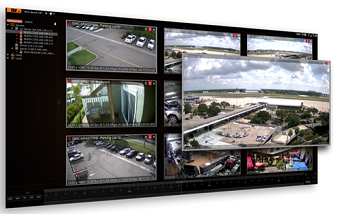 View multiple cameras at once across multiple servers, audio monitoring, remote recording, and more. iOS: IP Cam Viewer Pro, $3.99 from iTunes. 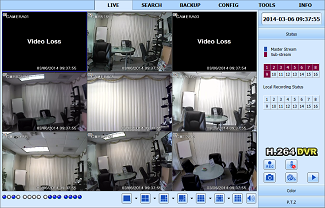 View multiple cameras at once across multiple servers, audio monitoring, remote recording, and more. Watch Milestone XProtect video tutorials on YouTube. https://dvr.edigitaldeals.com:7001/web/ user = admin, password = 123456. NOTE: This is a new demo server and may not have a valid HTTPS security license. Please proceed anyway despite the invalid security license. iPhone/iPad using the free "iWatch DVR" App available in the App Store or on iTunes. BlackBerry using these setup instructions. Windows Mobile, Symbian using these setup instructions. To zoom in or out on Safari, once you see the camera, hold down the Command button and scroll up or down with your mouse. To zoom in or out on Firefox, Chrome, or Opera, once you see the camera hold down the Control button and scroll up or down with your mouse. Please enable your activeX controls in Internet Explorer: (Tools --> Internet Options --> Security --> Custom Level). For every mention of "activeX controls", set your selection to "prompt" or "enable." There should be approximately 7 selections where this change needs to be made. If using IE 11 or higher, please add IP address to Compatibility View Settings (Tools --> Compatibility View Settings, Add, Close).There are no other browsers supported at this time except for Google Chrome with the IE-Tab extension. Demo: http://69.198.199.4, Username is admin, no password. Mobile port is 8888. Web port is 8060. 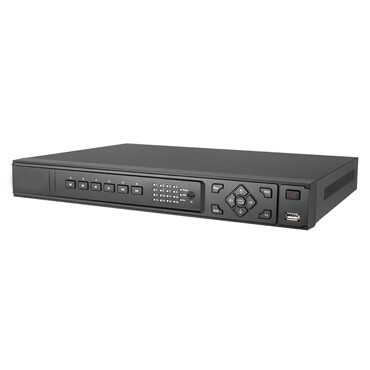 Dahua NVR / HD-CVI Demo: http://96.24.179.23:32, user name is admin, password is admin. Use port 37777 for mobile app port or Smart PSS. Dahua Demo #2: http://98.189.113.44:85, user name is admin, password is 1234. Port 37777 for mobile app or Smart PSS. Use Config Tool to search for Dahua devices and to configure their IP addresses. 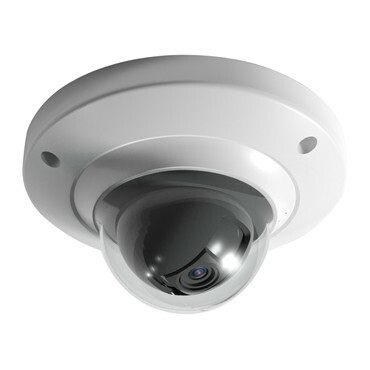 LTS Platinum & Hikvision DVRs, NVRs, and IP Cameras. 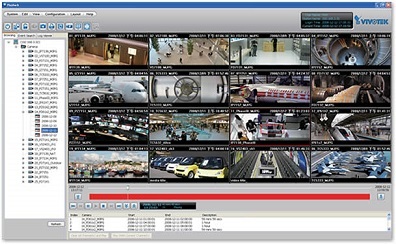 LTS Platinum DVRs, NVRs, and IP cameras can use Hikvision software and mobile apps, as well as NVMS7000. Use Platinum IP Portal to search for LTS Platinum devices and to configure their IP addresses. Use SADP to search for Hikvision devices and to configure their IP addresses. Uniview Client software, Download Center here.